It has been very fascinating to closely experience the great enthusiasm and devotion of these young Ethiopian Orthodox choir members during the Masqal celebrations in Addis Ababa. 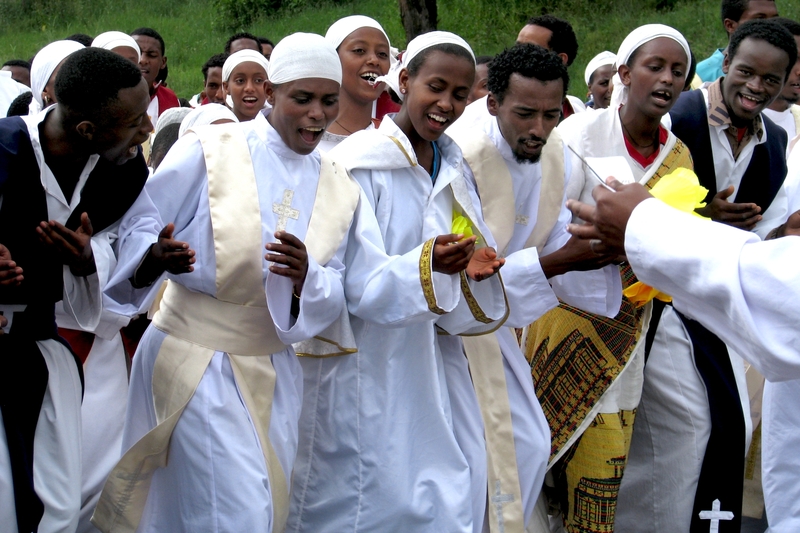 People are celebrating the advent of a piece of the true cross of Jesus in Ethiopia at the beginning of the 15th century. Groups of singing and dancing believers are approaching the main square of Addis Ababa, the Masqal Square, where a big fire is lid and the light of Masqal is distributed into every family.